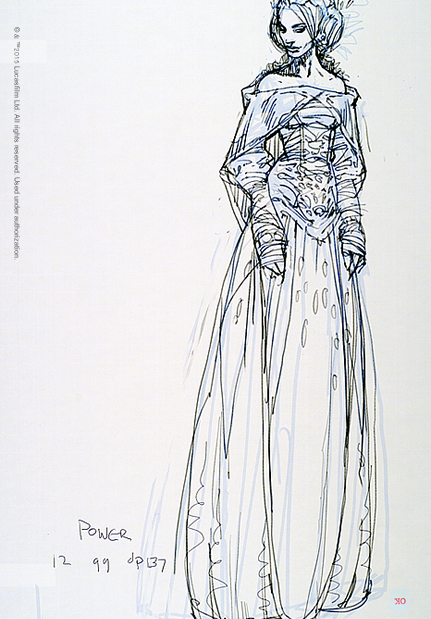 Padmé Amidala’s costumes were the pinnacle of haute couture and breathtaking design and they encompassed the many different aspects of her character’s journey. The archetypal stages of Padmé’s life after she leaves the throne can be seen in these costumes: young senator, determined government official, force for the rebellion, glamorous romantic heroine, secret bride and pregnant wife, and, finally, tragic martyr. Her costumes also reflect the era in which she lives. Padmé is a young, idealized, richly ornamented government leader at the time of a high civilization on the edge of total corruption and destruction. 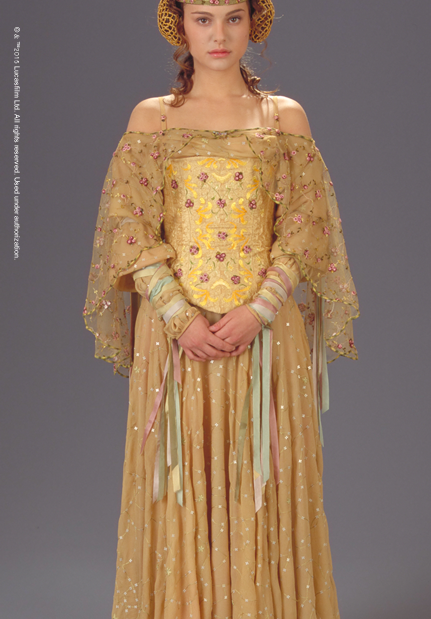 The beautiful and delicate Meadow Picnic Dress, worn on her bucolic outing with Anakin in the hills, showcases Padmé’s softer, more elegant and feminine side. The dress is made from a silk bodice with colored filigree embroidery and stitching. 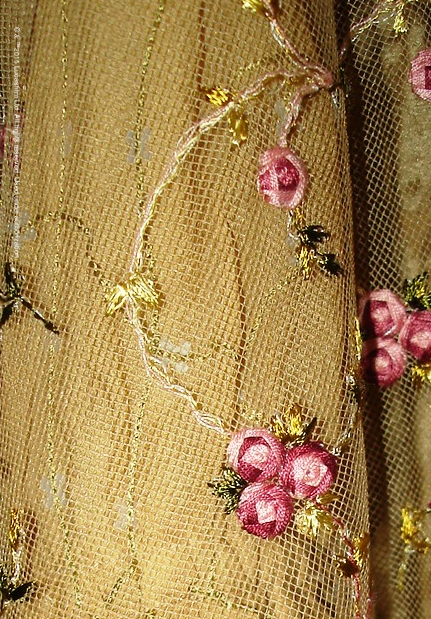 The roses were taken from the tulle and appliqued on top to unite the two fabrics.